Mary Padilla created a listing. 1st shots and dewormed with papers price goes up. 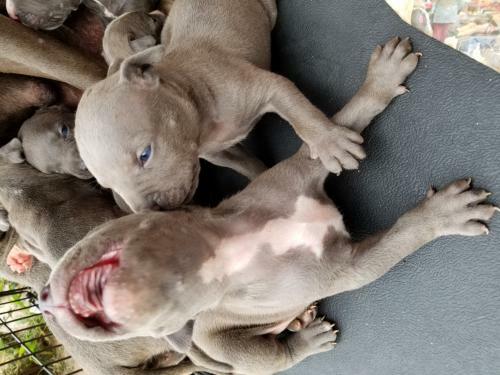 Registered pure breed blue nosed Pitbull pups. WOLFPACK and Whitney Boyd like this. My sincere apologies to our fur family. I have been busy with work and school and haven't kept an update on our babies. Shorty is on her last litter. Blu has gotten so big but still turns into a 90lb lap baby. Reyna is going on 10 yrs old and she still keeps up with the young one's. Penny still loves to sunbath and get her belly scratches. Babygirl is growing big and strong but getting a teenager personality. We have a new litter and our final for awhile, so if your interested contact us and come find your new family addition. IT IS THAT TIME! IF YOU ARE LOOKING TO EXTEND YOUR FAMILY WITH A FUR BABY, WE HAVE 'EM. 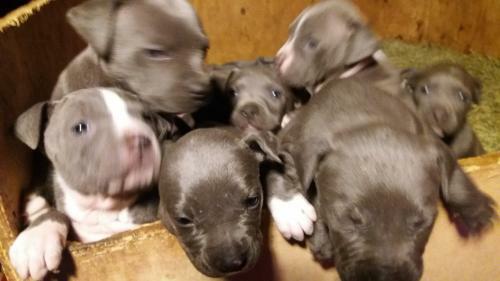 PURE BRED BLU PITS COME WITH PAPERS, FIRST SHOTS AND DEWORMED. EMAIL, CALL OR TEXT, WE ALSO TRAVEL. 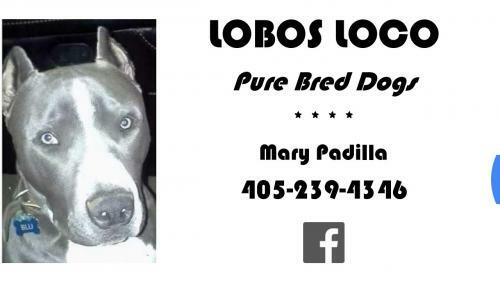 CHECKOUT OUR FACEBOOK PAGE " LOBOS LOCOS" FOR DETAILS. PUPPIES ARE READY IN A WEEK. Business Cards are in. Nothing to flashy, just simple.